On CBS Sports HQ, former NFL DB Bryant McFadden joins Chris Hassel to share his reaction after Chancellor announces his retirement. Seattle Seahawks on 247Sports writer Derek Lewis discusses why the Seahawks are taking a risk by trading Frank Clark. Derek Lewis of the Seattle Seahawks on 247Sports joins Kevin Boilard to identify the team's ideal opponents for Week 1 of the 2019 NFL season. 247Sports Seattle Seahawks reporter Derek Lewis joins Kevin Boilard to discuss what the Seahawks accomplished in Week 1 of NFL Free Agency. Derek Lewis of the Seattle Seahawks on 247Sports joins Kevin Boilard to break down the Seahawks adding S Landon Collins. Derek Lewis of the Seattle Seahawks on 247Sports joins Kevin Boilard to share his three steps for the Seahawks to dominate free agency. Seattle Seahawks head coach Pete Carroll speaks to reporters at the NFL Scouting Combine. The Seattle Seahawks at the NFL Combine on 247Sports. Seattle Seahawks general manager John Schneider speaks with reporters at the NFL Scouting Combine. On The Tuesday Touchdown at 247Sports, NFL Analyst Kevin Boilard to highlight two major advantages the Seattle Seahawks have over the Dallas Cowboys. Derek Lewis of the Seattle Seahawks on 247Sports describes the ways in which the team must improve before the playoffs. Previewing the Cardinals and Seahawks in Week 17, presented by Buffalo Wild Wings. On CBS Sports HQ, Kelly Stewart offers her expert picks for the Chiefs and Seahawks on Sunday Night Football, presented by Applebee's. Previewing the Chiefs and Seahawks in Week 16, presented by Buffalo Wild Wings. Derek Lewis of the Seattle Seahawks on 247Sports delivers his biggest takeaway from the team's 26-23 loss to the San Francisco 49ers in overtime in Week 15. Brady Quinn and Pete Prisco to discuss what the Seahawks must do to secure a playoff spot. How Dangerous Can Seahawks Be Moving Forward? How will Kirk Cousins fare against the Seahawks? On CBS Sports HQ, CBS Sports NFL analyst Brady Quinn joins Casey Keirnan and Jorge Andres to discuss how Kirk Cousins will perform against the Seahawks. On CBS Sports HQ, Pete Prisco and Kelly Stewart offer their expert picks for the Vikings at Seahawks on Monday Night Football, presented by Applebee's. On The Tuesday Touchdown, 247Sports NFL Analyst Kevin Boilard explains why the Seattle Seahawks rank just outside the NFL's elite tier. Is Seahawks QB Russell Wilson playing perfect football? Derek Lewis of the Seattle Seahawks on 247Sports joins Kevin Boilard to highlight the performance of Russell Wilson heading into the final four games of the season. Derek Lewis of the Seattle Seahawks on 247Sports joins Kevin Boilard to make the case for Bobby Wagner as Defensive POTY. Derek Lewis of the Seattle Seahawks on 247Sports joins Kevin Boilard to share why the Seahawks will hold onto their wild card spot in the NFC playoffs. Previewing the Vikings and Seahawks in Week 14, presented by Buffalo Wild Wings. Derek Lewis of the Seattle Seahawks on 247Sports shares his biggest takeaway from the team's 43-16 win over the 49ers in Week 13. Derek Lewis of the Seattle Seahawks on 247Sports joins Kevin Boilard to forecast Richard Sherman's return. Derek Lewis of the Seattle Seahawks on 247Sports joins Kevin Boilard to lay out the path to the playoffs. Derek Lewis of the Seattle Seahawks on 247Sports joins Kevin Boilard to make the case for Russell Wilson as MVP. On The Tuesday Touchdown at 247Sports, NFL Analyst Kevin Boilard breaks down the Seattle Seahawks' odds to win the Super Bowl. Derek Lewis of the Seattle Seahawks on 247Sports shares his biggest takeaway from the team's Week 12 win over the Panthers. On CBS Sports HQ, Pete Prisco and Kelly Stewart offer their expert picks for Seahawks at Panthers, presented by Applebee's. Previewing the Seahawks and Panthers in Week 12, presented by Buffalo Wild Wings. On CBS Sports HQ, CBS Sports NFL writer Ryan Wilson discusses the Seahawks' win over the Packers and their chances to make the playoffs. How long will Pete Carroll remain with the Seahawks? 247Sports Seattle Seahawks reporter Derek Lewis joins Kevin Boilard to discuss what the Seahawks need to do against the Packers to come out with a victory. 247Sports Seattle Seahawks reporter Derek Lewis joins Kevin Boilard to discuss the outlook for the Seahawks upcoming Thursday night game against the Green Bay Packers. On CBS Sports HQ, Tony Romo and Jim Nance break down the battle between Seattle and LA. Derek Lewis of the Seattle Seahawks on 247Sports breaks down the team's 36-31 loss to the Los Angeles Rams. Will Brinson and Pete Prisco offer their picks for Seahawks-Rams. Previewing the Seahawks and Rams in Week 10, presented by Buffalo Wild Wings. Derek Lewis of the Seattle Seahawks on 247Sports breaks down the factors that led to a 25-17 loss to the Los Angeles Chargers on Sunday. On The Tuesday Touchdown at 247Sports, NFL Analyst Kevin Boilard charts a path for the Seattle Seahawks. Is this a must-win game for the Seahawks against the Chargers? Previewing the Chargers and Seahawks in Week 9, presented by Buffalo Wild Wings. Will Seahawks make a trade before the NFL trade deadline? Derek Lewis of the Seattle Seahawks on 247Sports joins Kevin Boilard to discuss the prospect of a trade. Derek Lewis of the Seattle Seahawks on 247Sports joins Kevin Boilard to discuss the tough road ahead. Derek Lewis of the Seattle Seahawks on 247Sports joins Kevin Boilard to discuss the team's success on the ground. Will the Seahawks make a trade before the NFL deadline? 247Sports NFL Analyst Kevin Boilard joins Mike DiSipio to discuss where the Seahawks stand amid NFC contenders. 247Sports NFL writer Max DeMara picks the winner for Lions vs. Seahawks. On The Tuesday Touchdown at 247Sports, NFL Analyst Kevin Boilard breaks down the tough stretch ahead for the Los Angeles Rams. 247Sports NFL Analyst Kevin Boilard lay out the Seattle Seahawks' biggest challenges the rest of the way. On The Tuesday Touchdown at 247Sports, NFL Analyst Kevin Boilard reveals the direction in which he believes the Seattle Seahawks are trending. Derek Lewis of the Seattle Seahawks on 247Sports joins Kevin Boilard to discuss how the Seahawks and Earl Thomas can repair their rift. Derek Lewis of the Seattle Seahawks on 247Sports joins Kevin Boilard to highlight the success of the Seahawks offense. Is NFL handling suspension of Seahawks LB Mychal Kendricks properly? Derek Lewis of the Seattle Seahawks on 247Sports joins Kevin Boilard to break down the NFL's handling of the Mychal Kendricks suspension. Pete Prisco and Brady Quinn preview the Seahawks at Raiders, presented by Buffalo Wild Wings. Pete Prisco and Brady Quinn give you their Pickem picks for week 5 of the 2018 NFL season. Pete Prisco and Jamey Eisenberg give their takeaways from the Seahawks-Cardinals game. Derek Lewis of the Seattle Seahawks on 247Sports joins Kevin Boilard to preview Week 4 vs. the Cardinals. Is Seahawks HC Pete Carroll living up to his offseason promises? Derek Lewis of the Seattle Seahawks on 247Sports joins Kevin Boilard to revisit Pete Carroll's vows from the offseason. What's next for Seahawks S Earl Thomas? Derek Lewis of the Seattle Seahawks on 247Sports joins Kevin Boilard to forecast the future for Earl Thomas. CBS Sports fantasy football expert Jamey Eisenberg tells you which quarterbacks to start and sit in Week 3 for your fantasy teams. CBS Sports senior NFL writer Pete Prisco discusses what to expect from the Cowboys in Week 3 against the Seahawks. 247Sports breaks down the biggest matchup in the Cowboys vs. Seahawks game ahead of their Week 3 meeting. Fantasy Football expert Jamey Eisenberg breaks down the Seahawks' offensive struggles and discusses the fantasy impact of the stagnant unit. Buying stock is Will Dissly? Is TE Will Dissly stock worth buying? Should owners go with RB Rashaad Penny or RB Chris Carson? Can we still trust Russell Wilson? Can Fantasy owners still trust Russell Wilson despite a bad o-line? Derek Lewis of the Seattle Seahawks on 247Sports joins Kevin Boilard to share his keys to victory for the Seahawks in Week 2. Can Earl Thomas carry the Seahawks? Derek Lewis of the Seattle Seahawks on 247Sports joins Kevin Boilard to discuss Earl Thomas' impact for the Seahawks this season. Derek Lewis of the Seattle Seahawks on 247Sports joins Kevin Boilard to discuss the Seahawks' options to replace Doug Baldwin. Where should Russell Wilson be ranked among QBs in Week 2? Pete Prisco and Jamey Eisenberg discuss whether the Seahawks are demanding too much in trade offers from other teams. Fantasy Football QB Rankings: Why so low on Russell Wilson? Why is Russell Wilson ranked so low this week? Derek Lewis of Seattle Seahawks on 247Sports why fans who believe Earl Thomas is being selfish by holding it are dead wrong. Derek Lewis of Seattle Seahawks on 247Sports uses a small roster move to show the Seahawks are still about winning in 2018. Shaq Griffin has terrific preseason for Seahawks. 247Sports NFL Analyst Kevin Boilard answers a phone call from a Seattle Seahawks fan on The Tuesday Touchdown, which airs on Facebook Live. Derek Lewis of Seattle Seahawks on 247Sports explains the one path to victory for Earl Thomas versus the Seahawks as his holdout nears the regular season. Derek Lewis of Seattle Seahawks on 247Sports picks Germain Ifedi to hold off George Fant in their new right tackle competition. Who are some undervalued WRs in terms of ADP? On The Tuesday Touchdown, 247Sports NFL Managing Editor Allan Bell explains why the Seattle Seahawks should trade Earl Thomas sooner rather than later. CBS Sports senior fantasy writer Jamey Eisenberg shares his take on the Seahawks' crowded backfield. Jamey Eisenberg and Heath Cummings discuss what you can expect to see from Doug Baldwin this season. Derek Lewis of the Seattle Seahawks on 247Sports joins Kevin Boilard to provide the latest on rookie Shaquem Griffin. Who's winning the Seahawks' biggest camp battles? Derek Lewis of the Seattle Seahawks on 247Sports joins Kevin Boilard to lay out the latest on position battles. Derek Lewis of the Seattle Seahawks on 247Sports joins Kevin Boilard to shed some light on the wide receiver depth. Pete Prisco and Leger Douzable join HQ with the latest on Earl Thomas skipping camp. CBS Sports NFL insider Jason La Canfora joins HQ on the impact of Earl Thomas not reporting to camp. 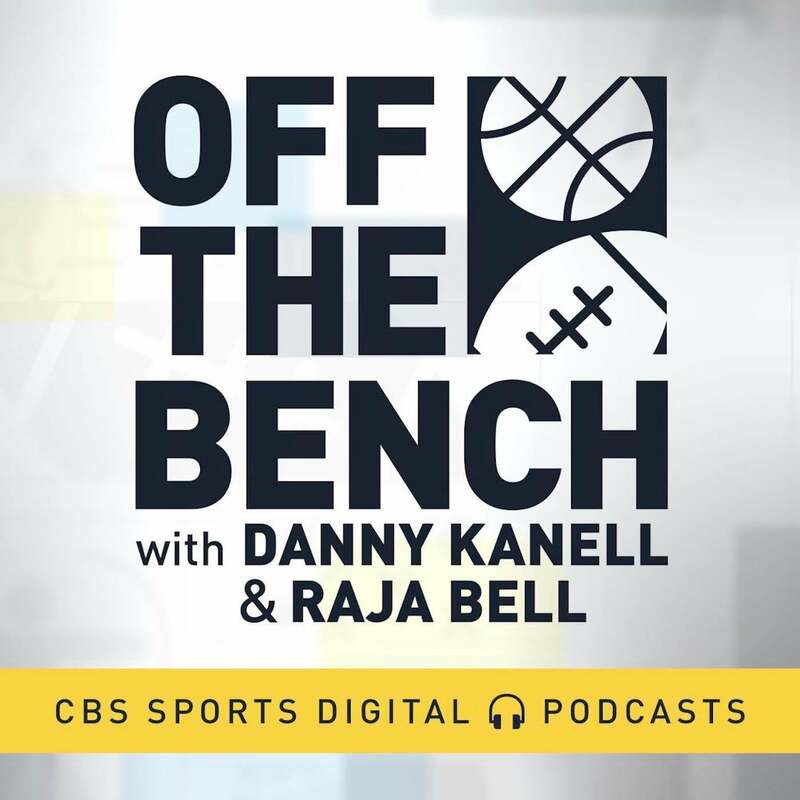 On CBS Sports HQ, senior NFL writer Pete Prisco joins Nick Kostos to talk about Seattle's tough schedule and how it will ultimately affect them. Prisco's Win-Loss Column: Jaguars-Packers Super Bowl? 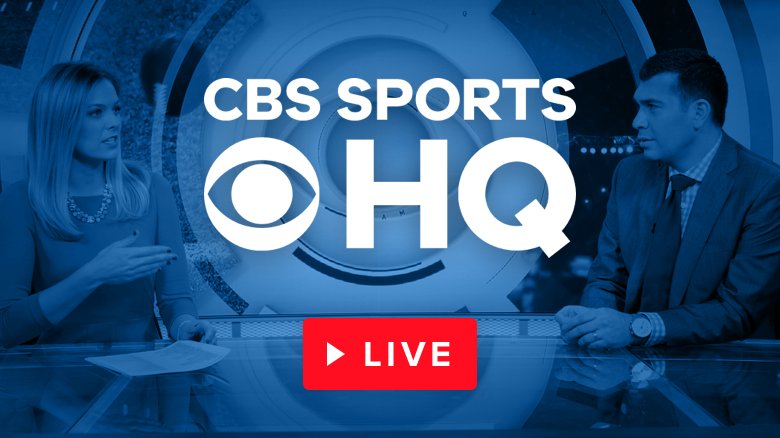 On CBS Sports HQ, senior NFL writer Pete Prisco joins Nick Kostos to discuss his prediction on who will be playing in Super Bowl LIII. Derek Lewis of the Seattle Seahawks on 247Sports joins Kevin Boilard to discuss the Seahawks veterans who are on the chopping block this training camp. Derek Lewis of the Seattle Seahawks on 247Sports joins Kevin Boilard to discuss the possibility of the Seahawks trading Earl Thomas. Derek Lewis of the Seattle Seahawks on 247Sports joins Kevin Boilard to reveal the player who will be the Seahawks' unsung hero in 2018. Is Seattle's Legion of Boom officially over? On CBS Sports HQ, former NFL DB Bryant McFadden joins Chris Hassel to discuss whether Chancellor's retirement officially ends the Legion of Boom. Derek Lewis of the Seattle Seahawks on 247Sports joins Kevin Boilard to explain how Earl Thomas will end his holdout. Derek Lewis of the Seattle Seahawks on 247Sports joins Kevin Boilard to pinpoint the player who will capture the hearts of fans. Derek Lewis of the Seattle Seahawks on 247Sports joins Kevin Boilard to identify two players who are primed to surprise fans. How far can Russell Wilson carry Seahawks on his own? 247Sports Seattle Seahawks reporter Derek Lewis joins Kevin Boilard to examine if Wilson can lead the Seahawks by himself. 247Sports Seattle Seahawks reporter Derek Lewis joins Kevin Boilard to examine which position battles we should keep an eye on during camp. 247Sports Seattle Seahawks reporter Derek Lewis joins Kevin Boilard to examine the latest on Seattle's contract negotiations with players. 247Sports Seattle Seahawks reporter Derek Lewis joins Kevin Boilard to discuss what we learned from Seahawks spring. 247Sports Seattle Seahawks reporter Derek Lewis joins Kevin Boilard to discuss who needs to step up in Earl Thomas' absence. 247Sports Seattle Seahawks reporter Derek Lewis joins Kevin Boilard to discuss Earl Thomas' holdout. On Facebook Live, Derek Lewis of the Seattle Seahawks on 247Sports joins Kevin Boilard to provide a defensive outlook. On Facebook Live, Derek Lewis of the Seattle Seahawks on 247Sports joins Kevin Boilard to explain a scenario where Colin Kaepernick can bite the team. On Facebook Live, Derek Lewis of the Seattle Seahawks on 247Sports joins Kevin Boilard to outline the current hierarchy in the NFC West.